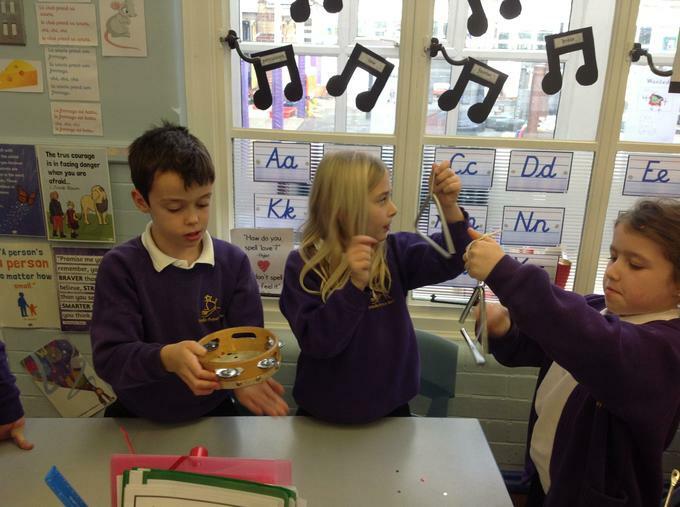 This week we examined string and air column vibrations. We listened and identified high and low pitched sounds. 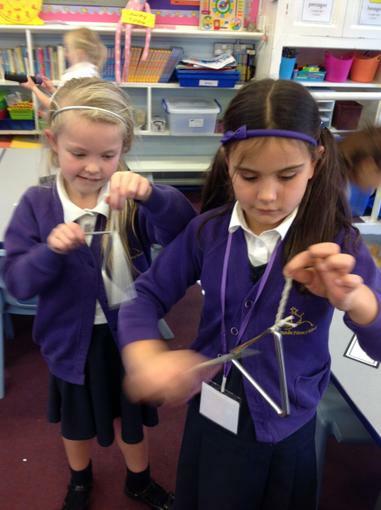 We made a string oboe and a straw clarinet. 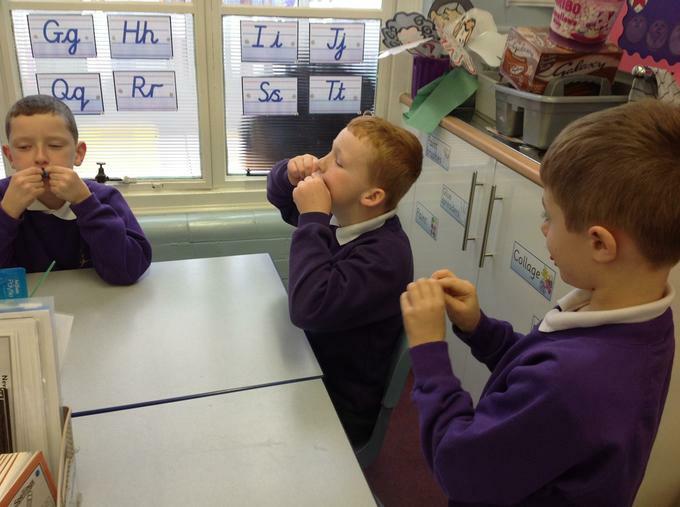 We discovered the longer the string the lower the pitch, the shorter the string the higher the pitch. 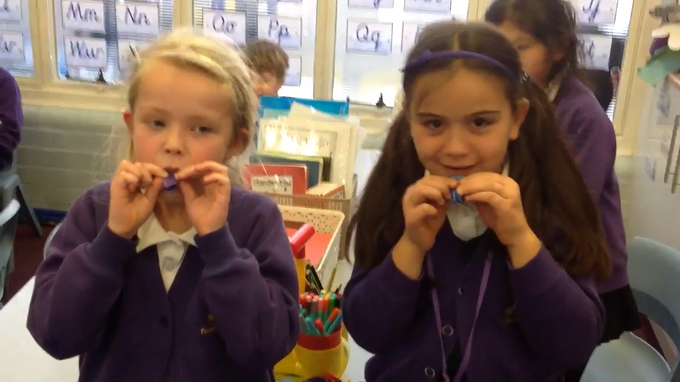 We had great fun blowing our straw clarinets! The tip of the straw was cut in a similar way to a clarinet reed. 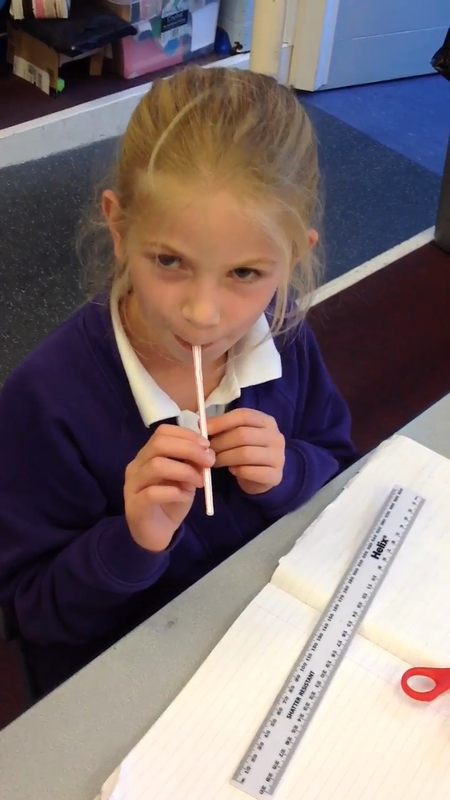 We then investigated the pitch by cutting the straw to make the air column shorter. We discovered the shorter the air column became, the higher the pitch. 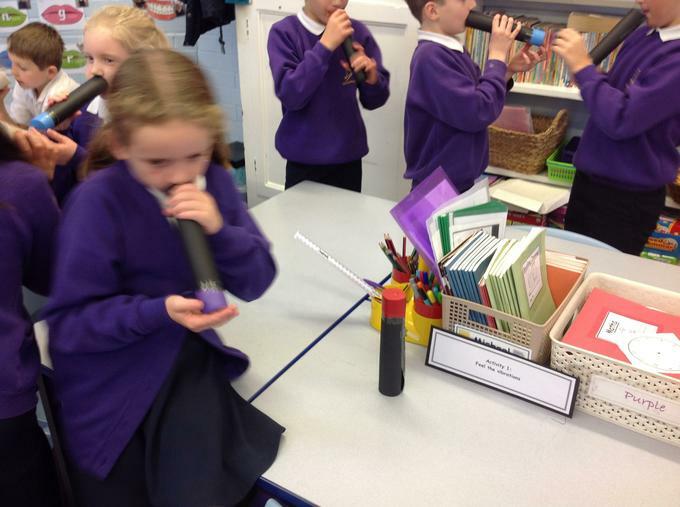 This week we have been identifying how sounds are made and associating some of them with something vibrating. 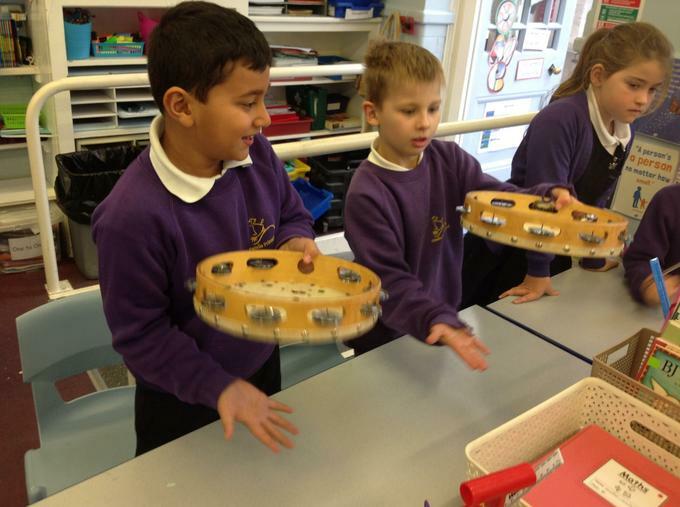 We also looked at patterns between the volume of a sound and the strength of the vibrations that produced it. It was a really fun lesson on Monday afternoon. We moved around a carousel of sound activities. 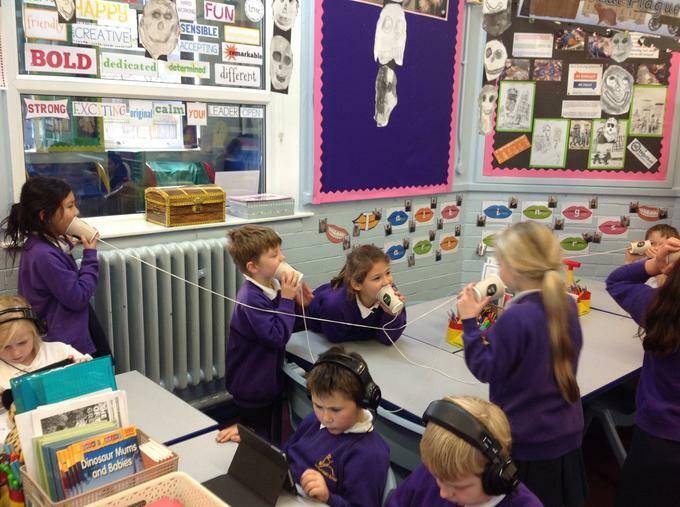 We used paper cup telephones, cut balloons and made high pitched sounds by blowing through them. 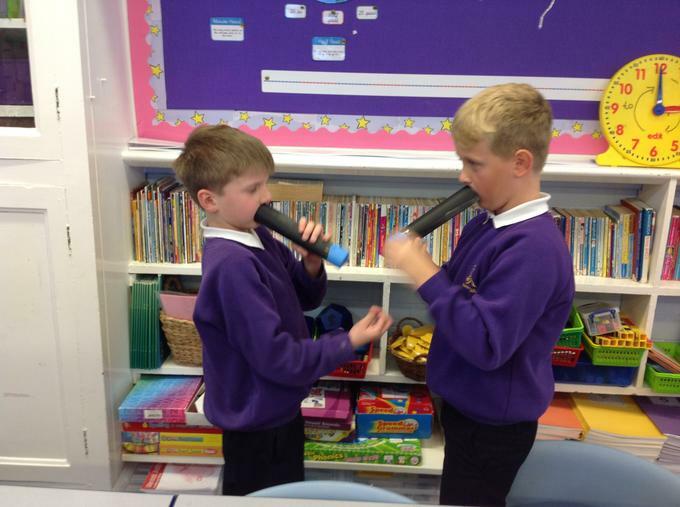 We also experimented with vibrations and musical instruments and used tubes with balloons to test whether the volume influenced the strength of vibration. 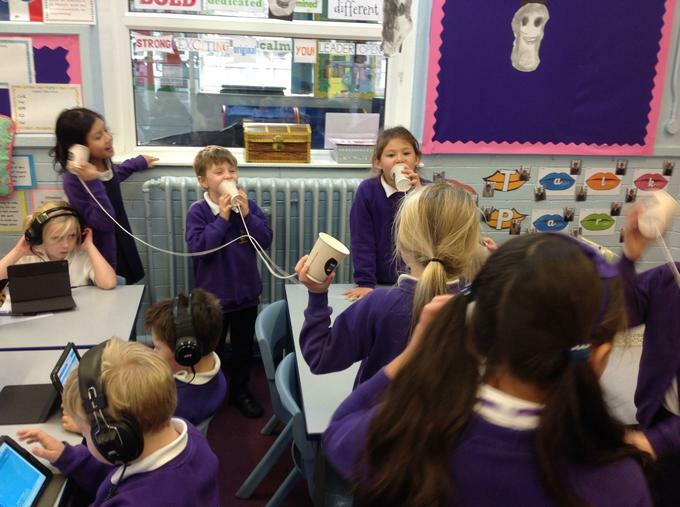 The classroom was very noisy but we were very busy and certainly gained a lot from the experiences at each sound station. Today we found out all about sound waves. We know that sounds are produced by vibrations, sound travels as waves and sound waves are reflected by surfaces. We hit a triangle musical instrument and felt the vibrations. 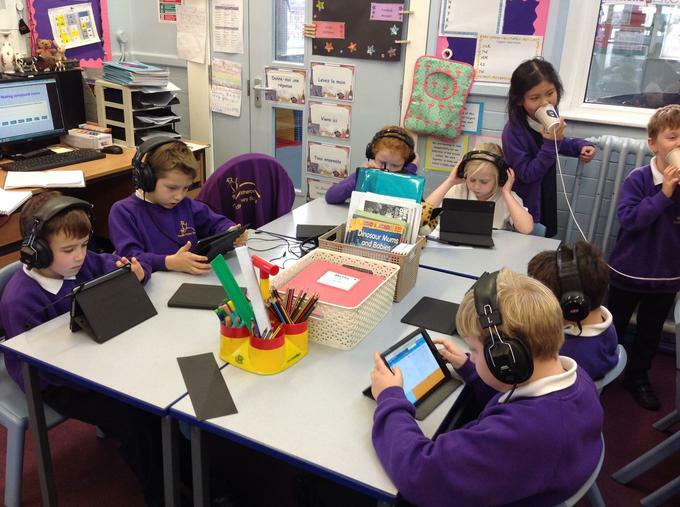 We then made a variety of sounds and recorded the decibels (dB) using Sound Data Loggers. 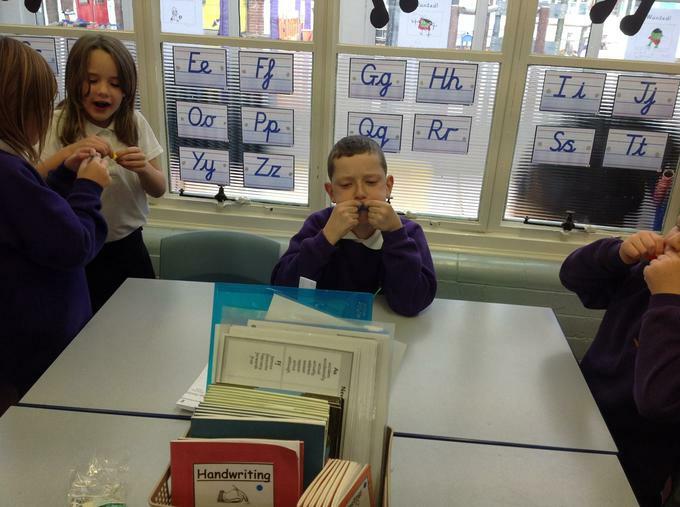 Mrs Kennerley challenged a class member to see who was the loudest shouting the word 'sound'. 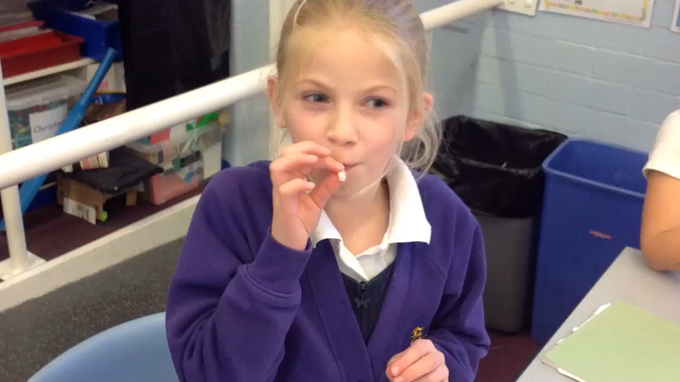 Mrs Kennerley reached 109 dB, that is almost the same as a car horn! 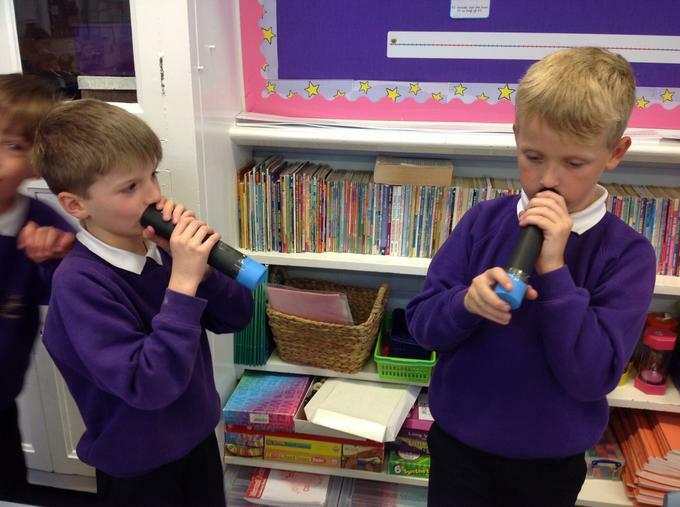 We also recorded the decibels of various other instruments such as bells and a guitar. We are hoping to take these outside too to record traffic noise from the playground, bird song and a whistle to name a few.